If you’re planning on spending a week on a yacht in Croatia, then the chances are that you’ll be sailing within the Dalmatia region. This coastal region stretches from Dubrovnik in the South up to Rijeka in the north, and includes Split, Trogir, Zadar and over 500 islands and islets. Below, we’ve put together five things that you should do when you’re on your next visit to the Dalmatian Coast. Want to immerse yourself in the culture of Trogir and take a break from your boat? Then explore everything this UNESCO world heritage site has to offer, from its beautiful architecture, the vast array of bars and restaurants and beautiful boats. Central Square is also home to Trogir Cathedral, a three-naved Venetian cathedral whose construction lasted several centuries. We get it – you’re on a sailing holiday in Croatia, and we’re recommending that you go on a boat tour, but hear us out! You can choose between a three island speedboat tour to keep the petrol heads entertained, a panoramic tour if you’re looking to spend your days taking photographs or even an all inclusive day-long excursion where you’ll sail past the Kornati Islands, an archipelago consisting of more than 140 individual islands with hidden treasure to be found. There’s a boat trip to keep the whole family entertained, and, what’s more, you won’t need to worry about steering the boat or hiring a skipper in the process! If there’s one thing that can be promised from a Croatian holiday, it’s great food. Split, Dubrovnik and Korčula all offer a range of cooking classes that are perfect for every party – from single travellers to romantic getaways to family breaks. Frank about Croatia has put together a list of twenty must-try foods, which includes crni rizot (black risotto), hobotnica ispod peke (meat and vegetables with oil and spices), manestra (a bean soup) and istarski fuzi (pasta). Attending a cooking class means that you’ll not only be able to sample all of the food Croatians have to offer, but you can take home your favourite recipes to practice on your yacht. No good holiday is complete without a view to take your breath away – the City Walls walk is a must-do if you’re in Dubrovnik. In July or August it’s best to visit early morning or late afternoon if you want to avoid the crowds (and heat! ), but whatever the time of day – the views are certainly worth it. At almost 2km in length, the walls can take up to an hour to complete. You’ll get a unique lookout over the Adriatic sea and also over the maze of narrow streets in the old town below. 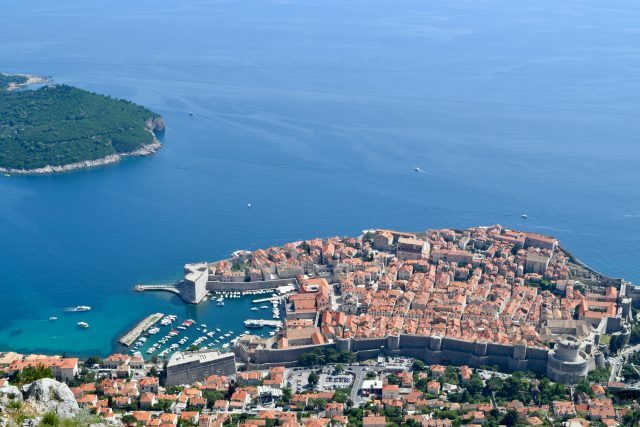 Oh and we nearly forgot to mention – you might recognise Dubrovnik as King’s Landing from Game of Thrones! From Trogir or Vis, you can take a trip to the natural phenomenon that is the Blue Caves on Biševo island. Also known as the Blue Grotto, this water-logged sea cave glows blue light throughout the day and makes for stunning photography. From Trogir, you’ll be able to get to Blue Cave on a private charter and spend time on the Biševo island swimming, snorkelling and soaking up the Croatian sun. More than 10,000 tourists visit Blue Cave every year, with Zelena špilja, which translates as The Green Grotto, another popular choice if you’re looking for more caves to explore. Want to find out more about sailing along the Dalmatian Coast? Get in touch with The Big Sail today.